After we were done with our dental and doctor visits in San Luis, Mexico just south of Yuma, we crossed the southern part of Arizona to visit Tucson. Getting off of the interstate at Gila Bend, we enjoyed a beautiful backroads drive through the Tohono O’Odham Indian reservation. 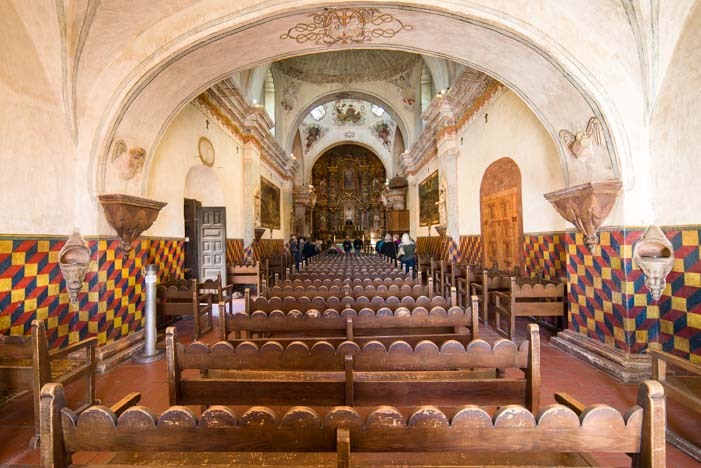 A few miles south of downtown Tucson, we visited the San Xavier Mission (Mission San Xavier del Bac). 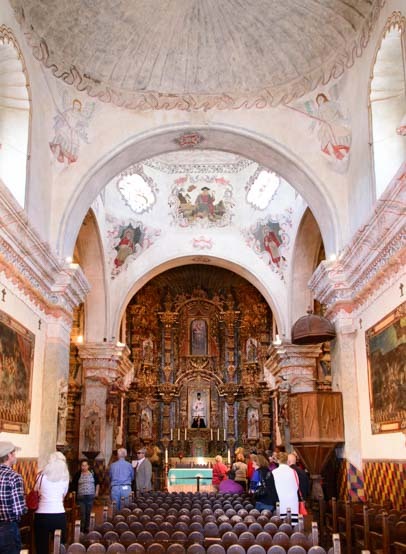 This catholic church was built in 1692 by Father Eusebio Kino, a Jesuit missionary who traveled throughout New Spain, an area that now includes both Mexico and some of the American southwest. The exterior has lots of ornamentation. 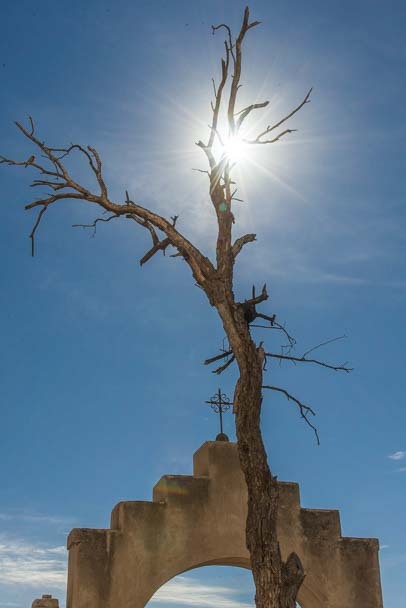 Mission San Xavier del Bac was the northernmost mission in New Spain, and it was built to impress the local Indians and encourage them to convert to Catholicism. 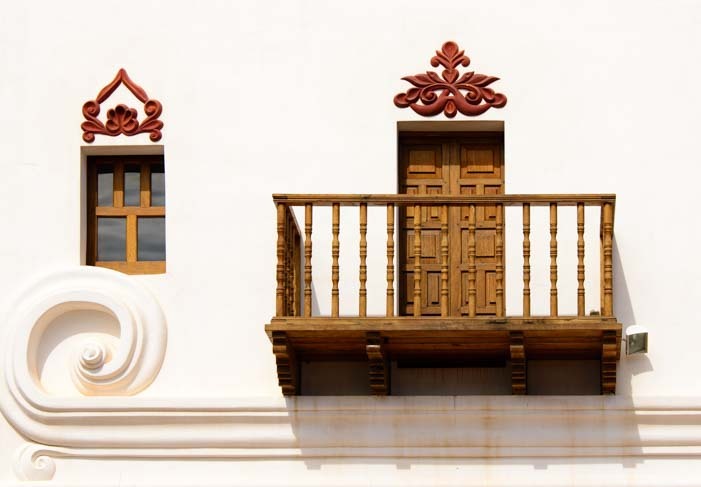 Today it remains largely intact and is considered a premier example of Spanish Colonial architecture. 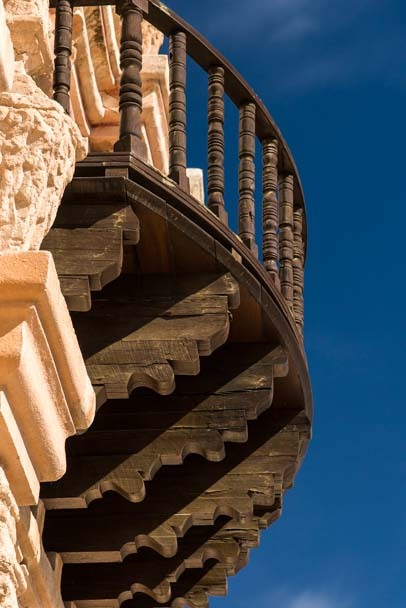 The Mission has been lovingly restored with generous donations and very fine craftsmanship over the past two decades. Now it is now in full splendor, and there are wonderfully ornate decorations all over the outside, from pretty windows and doorways to elaborate carvings and balconies. 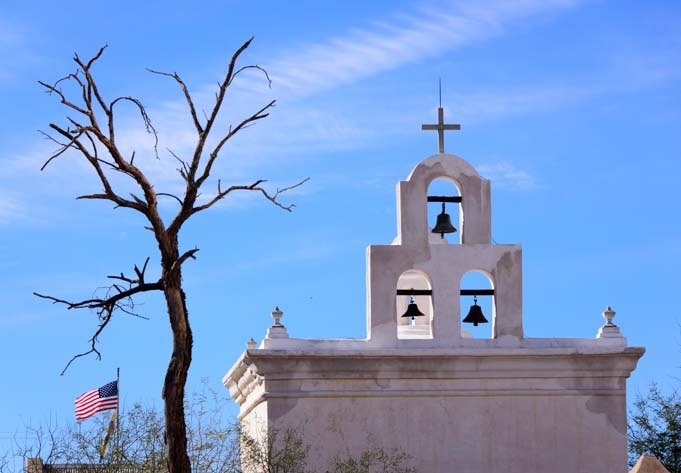 There are several buildings at San Xavier Mission, and a small shrine off to one side has a bell tower. Inside were small statues and candles burning. Even though it was midweek, there were loads of tourists visiting and taking the free tours. After our tour, we really enjoyed walking around at leisure and taking photos. Mark lines up a scraggly tree for a photo. 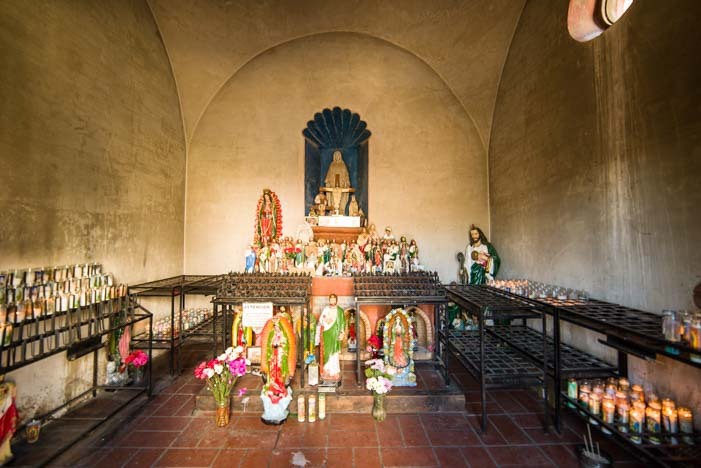 The inside of the Mission has rounded arches and is decked out with sculptures. 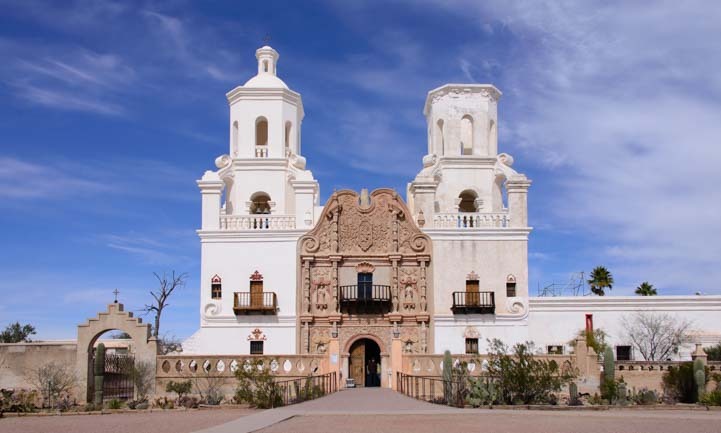 The San Xavier del Bac Mission sits on the San Xavier section of the Tohono O’Odham Indian reservation, and it is likely that the ancestors of the people that live there today were the ones converted to Catholicism by Father Kino three hundred years ago. 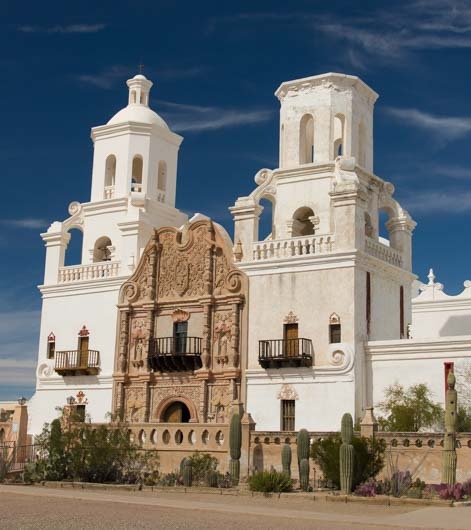 A combination of Italian, Mexican and Tohono O’Odham artisans did the painstaking restoration of the church. The altar is very elaborate. 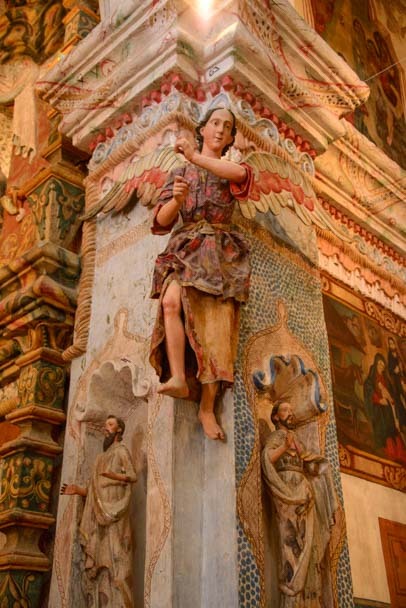 During the restoration, layers of history of the mission were uncovered. Apparently when the building was first painted, there were blue thumb-sized dots covering all of the walls. But during one of the earlier renovations the priest of the time didn’t like the spotted walls so he washed most of them off! Now, specialists think the blue dots were actually fingerprints of all the people who labored to build the building three hundred years ago! 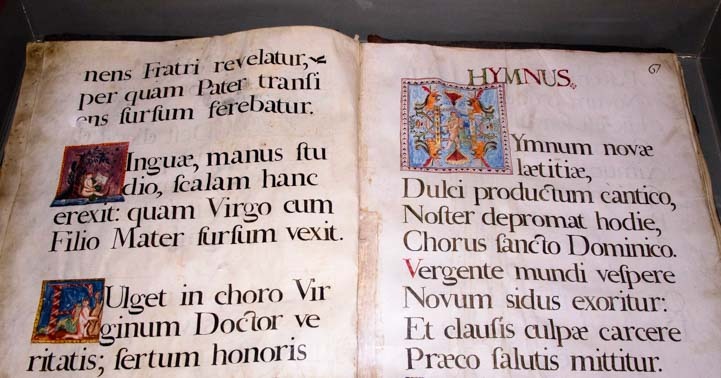 There is a museum, and I was very taken with the callligraphy in an antique book on display under glass. Beautiful calligraphy from ages ago. Outside we were free to roam around. 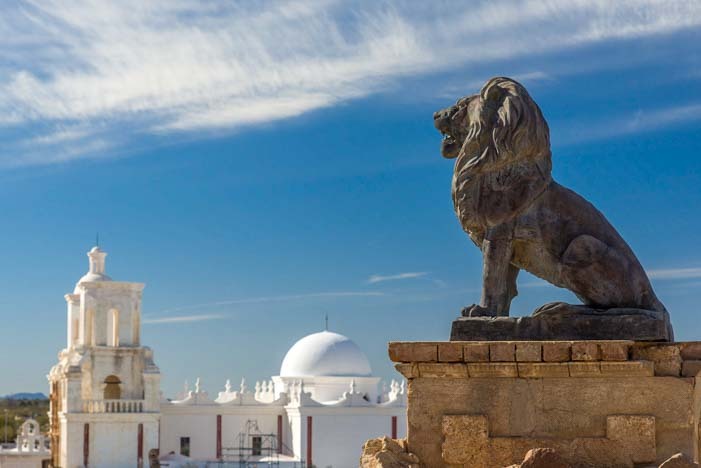 A pair of lions guard the hill next to the mission. 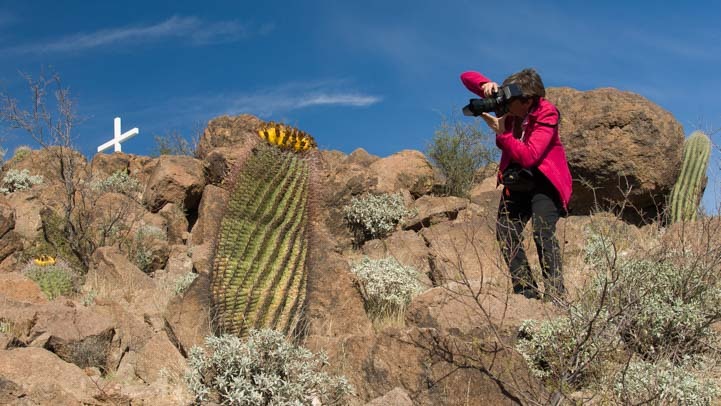 We had fun taking photos of the barrel cactus which were in bloom. Wonderfully vibrant yellow flowers poked out of their tops, perfect for some creative shots. 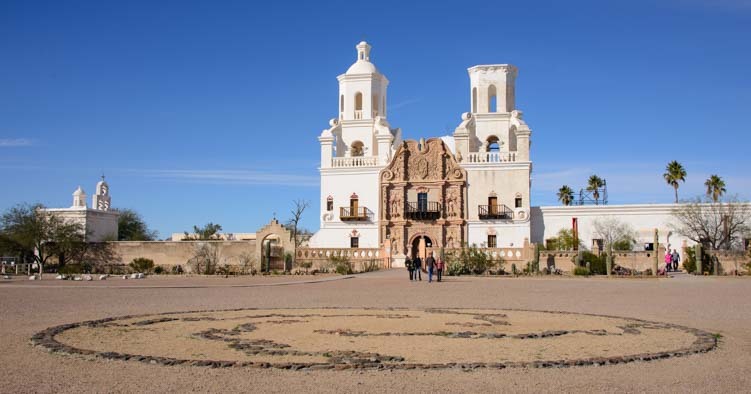 If your RV travels take you to southeastern Arizona, a excursion to Mission San Xavier del Bac is a really fun way to spend an afternoon. 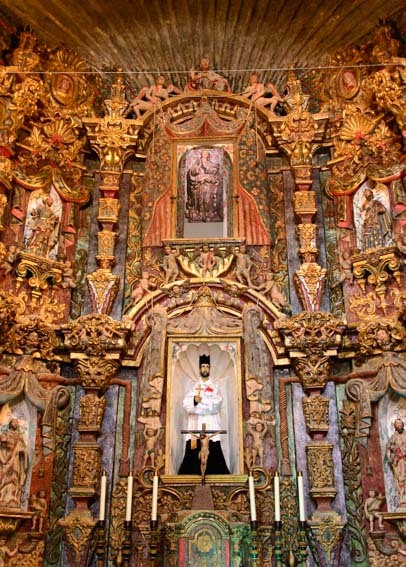 The Santo Domingo Cathedral in Oaxaca – Full of gold leaf! 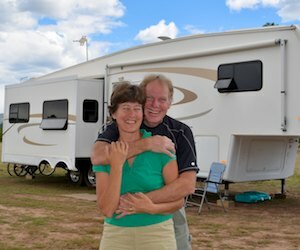 This entry was posted in Arizona and tagged Arizona, Arizona Southeast, New, Travel, USA, WP Travel by Roads Less Traveled. Bookmark the permalink. Absolutely beautiful! 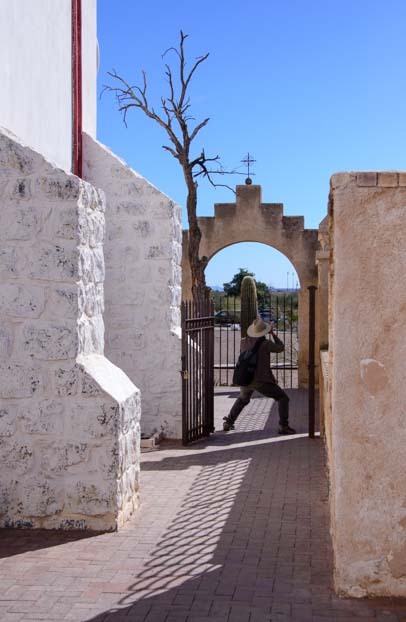 We’ve not yet visited the Mission — I think the last time we were in Tucson it was still undergoing reconstruction. How interesting that the walls were originally covered in thumbprints — that’s a LOT of thumbprints. Thanks for the wonderful preview tour! The thumb prints idea is a theory, but a really plausible one it seems to me. Enjoy your visit there when you get there. The reconstruction is ongoing and you’ll probably see and learn about new facets of this old mission that are yet to be discovered! !